Since grade school, Jonathan's mother, teachers, and friends always knew he would be a lawyer. "Sometimes, I argued for sport and sometimes for passion," he said, "but I always got excited about engaging with others, challenging perspectives, and occasionally changing some minds." He has always had an interest in medicine, the human body, and the medical industry in general. 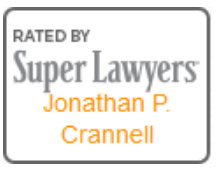 That coupled with his passion for the legal field allows Jonathan to learn about his clients’ injuries and their treatments in a manner that helps him explain to a jury the extent of why they need financial compensation. "I like to help people who need it," he said. "Most of my clients feel like they're in a David vs. Goliath situation before retaining me – I help even that playing field and take on the stress of my clients so they can worry about getting better and I can worry about ensuring a fair result." For Jonathan, he likes knowing that when he goes home to his family after a hard day of work, he has a clear conscience because he was the good guy. Part of being the good guy involves a few quality key strengths that set him apart from other attorneys. For starters, Jonathan is known for providing unparalleled levels of communication with his clients. They can text, email, fax, or call Jonathan at any time. In fact, many of his clients just stop by because they live close to his office — which is something he has no problem with at all. 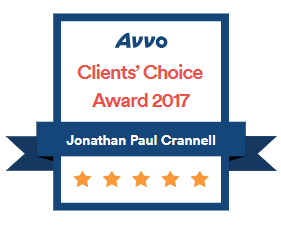 Jonathan is persistent, doesn't back down from a fight, and prides himself on providing honest advice to his clients. 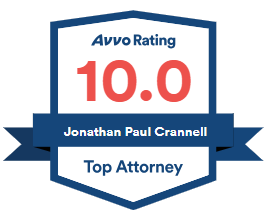 Sometimes he gets to deliver good news, sometimes he has to deliver bad news, but Jonathan's clients always know they're getting the truth from their attorney. After a trial, some of my clients are shocked at how much work I had done on their file that they didn’t know about. My former clients continue to refer friends and family to me and that is the biggest compliment I can receive. Another key trait: "I'm not a jerk," he said. 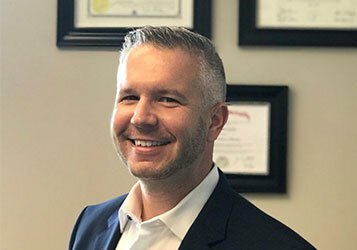 While attorneys have seemingly earned a reputation for being a little rough around the edges, Jonathan's first concern is making sure his clients are comfortable and at ease. "Don’t get me wrong," he said. "I'm aggressive and persistent, if not relentless, but I'm not mean or ugly. My and my clients' reputations are best served by being great at what I do while being a good person at the same time." Lastly, Jonathan is a local family man whose practice is rooted in truth. "My clients know me," he said. "They know I'm honest and have integrity and that when I represent them they will be represented in that light." 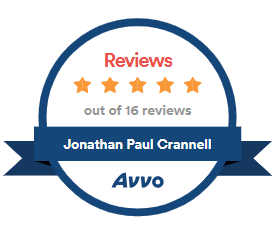 Jonathan gets a great deal of satisfaction from reaching a fair outcome on a case when at first the insurance companies weren't willing to cooperate with his clients. Someone has to keep insurance companies honest and the best way to do that is to hire an experienced injury attorney. "At the end of the day, I love my job," he said. "I get to stand up for people and fight an insurance company whose power, knowledge, and resources are so great that it simply could not be a fair fight without me."